After hearing this, Keith knew he wanted to acquire property as a means to build his financial future. 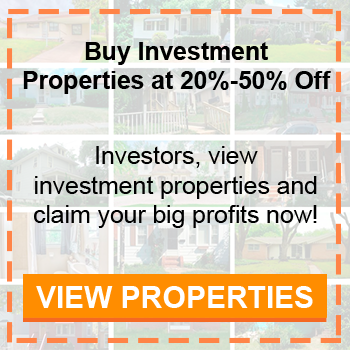 His first investment was a buy and hold and he just found his FIRST fix and flip property on MyHouseDeals. Keith ran the numbers and the deal just simply made sense. Even though this is long distance deal, Keith had no problem working with contractors to complete the rehab. This is really only the beginning for Keith. He plans to continue a mixed investing strategy. Keith wants to do flips to create a cash reserve as well as more buy and holds to create a stream of passive income. His potential is limitless! I read the book, Rich Dad Poor Dad. That book really made me interested in obtaining real estate and assets, as opposed to just trying to make money with money. I wanted to make money with actual property. So then my curiosity just grew and I decided to go to some training classes. At the beginning, I didn’t really see it going anywhere. I just ended up getting my feet wet in the industry. I still work full-time as a dentist, though. What inspired you to become a real estate investor? I’ve also been lucky with my timing. Some days I have absolutely no time but then there are days when I have quite a bit of down time. I’ve hired some help so that I’m able to make my own schedule around the deals, to a degree. Obviously, there are demands in any business, but for the most part I can see that real estate is something you could do basically on the side of anything. My business also gives me a bit of a fall back because I’ve seen how lucrative it can be. It’s kind of fun to have a bit of a second trade and something else I can invest my time in. The deal that I found on MyHouseDeals was actually my first deal as far as a flip is concerned. The other was a buy and hold. If you include that one, it would be my second deal but this is my first flip property. My game plan is to try to do a little bit of everything. I’d like to do quite a few flips in the beginning, just to get some cash reserves on hand and create some capital. Then I’ll do more flips and buy and holds after that to create a stream of passive income. Something I haven’t really seen in the market or training programs much is the flip and hold model where there are certain markets with such low prices that you can flip and refinance and almost get a rental house for free. I’m going to aim towards doing a couple of those and see how they work out. Sometimes, you can even cash out on those with a refinance and invest elsewhere.Both kinds of flips are just short-term cash makers. Rentals give you long-term passive income. I want to do a little bit of it all. How did you finance your first two deals? The buy and hold I did was a commercial building. The building had four residential units and I renovated it into five residential units within a business space. That deal was financed through my IRA. I did a rollover and started a self-directed IRA and then started an LLC for that. So the IRA did the initial investment in that and then the rest was a commercial loan through a local bank. I couldn’t take a traditional mortgage since it was a commercial space so I took a 20-year note. 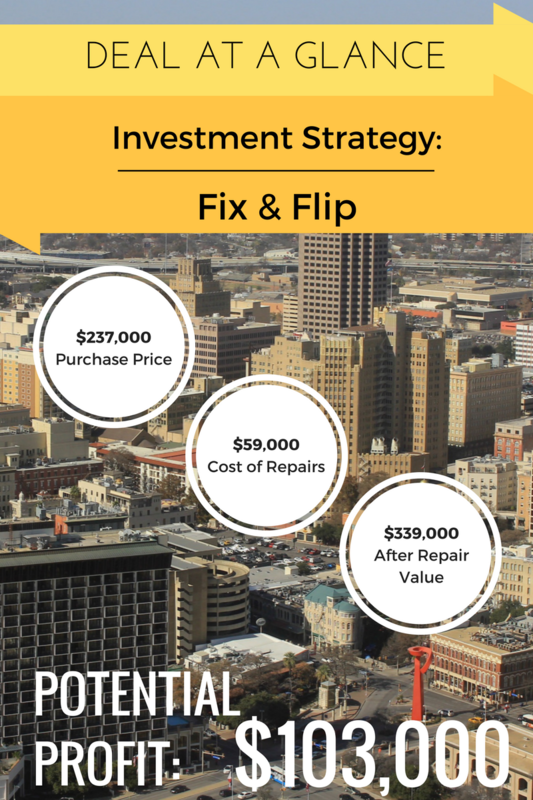 For the fix and flip, I used very little personal funds. I only paid for the earnest money and appraisal. Then, I found a private investor. I did training through the real estate workshop and they had a good network of gap lenders. So, I did a joint venture with a gap lender who financed pretty much most of what I needed. The gap lender and I did a 55/45 split. Hard money funded the rest. The gap lender is basically representing the cash asset for the hard money loan. Tell me more about the role of this gap lender in your deal. He’s basically the skin in the game. His big service is representing the cash portion. As I get experience and do more deals, more people are going to be willing to loan more. So obviously, I’d like to get away from having a third party involved and be able to finance the purchase and rehab completely by myself. Most money lenders weren’t willing to give me a better split since I’ve done so few deals. The lender pretty much has the cash in the deal. Other than that, I’m doing the management and facilitating everything. I travel to the property and make sure everything’s going smoothly. The lender just plays the investment role. What were you looking for when you found this deal? I really like the 70% rule – looking at the house’s ARV and rehab costs and seeing if you can buy the house for 70 percent of the ARV minus the rehab costs. When I’m skimming properties, that rule is in the forefront of my mind. It helps me get through the deals pretty quickly since I’m looking for something that’s almost half of the ARV. With this deal, I didn’t have many parameters since it was my first deal and I knew I didn’t want something completely rural. For a flip property, rural isn’t ideal. The property I bought is a lake house, so the good part is that it isn’t a distant lake house resort. This property is something that could be someone’s primary residence. It’s not too far from the major city, but it’s not your typical middle class cookie cutter suburban neighborhood either. So, there is a little more risk involved in that, as far as fitting perfectly into the parameters of the ideal flip. MyHouseDeals helped with having all of the information of the deal right there – the wholesaler or agent had listed the property with a good estimated ARV, her list price, and a good ballpark rehab cost. I liked that I could look at a house and think, “This is going to probably need this much money and repair,” with pictures and all. That’s the basic thing that caught my eye right at the beginning. The good thing with this property is that it’s selling for close to $400,000 which means that our profit is going to be great. A lot of the other markets I’m looking at have properties with ARV’s of just $140K or $170K. I think, as time goes on, those more simple deals will be easier once I’ve got some experience, but this is a great property to have where the profit is going to be significant, even with a third party investor. Like I said, the ARV is the biggest eye catcher for me and I’m always double and triple checking that number. Sometimes the estimates aren’t always accurate and that’s a big let down. What I like about MyHouseDeals is when the numbers are right, it’s easy to find the property and just go for it. How did you choose your desired market? I currently live in Tennessee, but the property I found is in Canyon Lake, just outside of San Antonio. It’s the lake I actually used to ski on when I was younger. For future deals, I’m looking more in the market near me, where I can be a little more hands on. But this deal is working out well also. I found lots of people that I could trust in the business. I live in a very competitive market so you aren’t going to find anything that’s going to be a flip and fix around here. When I was meeting with a wholesaler, an idea suddenly came to me. He asked me if I was going to refinance the deal and I didn’t even realize that was an option. I didn’t even know there was an option that lenders call delayed financing. Basically, you do the deal like you would any other flip, but instead of selling it afterwards, you get it refinanced at 75% or 80%. This covers almost all of the costs. So for a couple thousand dollars or basically for free, you can obtain a rental property. So far, that’s the theory but I haven’t put the theory into practice yet. How did you find a crew to work on the house? Multiple real estate agents gave me great referrals. One thing I’m loving about real estate investing is how honest and gracious people are in the industry. Everyone gives me contacts and openly shares what worked for them. People just love talking about in this business. Basically, I had a couple of realtors who also did flips themselves and referred me to a contractor. I then just checked references, looked at pictures, did the basics, and it worked out. There are always risks with starting with a new crew. But the referrals helped me out and allowed me to trust in the crew more. It’s worked out really well – our crew has done a great job. Are you delegating tasks to help run your business? I just hired my bookkeeper. She has a pretty flexible schedule and has a good head on her shoulders. I’m walking her through the ropes right now. It’s great to have a second answering point when my schedule doesn’t allow me to work on the business some days. Hopefully we can keep a good business relationship and she can field the questions and help with all the logistics of keeping things rolling. I’ve taught and trained her to do a lot of what I’ve had to do in the role, that way the business becomes more of a machine. The goal is to slowly work myself out of the process more and more. It’s a very basic administrative role right now. Just having that extra point of human contact in the business with two people to go to rather than one, will help credibility and development. Often things are time sensitive in the real estate industry, so she can now help with these details to keep things going smoothly. I don’t even really think about the little things now. She pays the bills. Obviously there are property management companies that can help you but there are some things they don’t take care of. Paying bills sounds like a small thing but it’s all about respecting your own time. I think this gives me, as an investor, more head space for everything else – even if it’s just taking care of ourselves and staying sane. I wanted to get rid of those little menial tasks so I could have more headspace for being creative. That’s the other thing I love about the real estate business – it seems like there are about a million ways to do things. There’s a fun creativity to the business and I like that aspect of it.